Bored of the work that you do all the time and planning some holidays? Well, if you are thinking to go for an outing or on holiday locations like warm and sunny, or skying in the mountains then I suggest you must look at some of the things which I am going to discuss about. If you are a geek then this place is heaven for you. So plan your holidays with these 9 Handy Travel Gadgets that will make your holidays perfect and you will remember them for long time. So lets go out and checkout some of the best travel gadgets across. You may know that while beginning your vacations there is hell lot of travelling all the time and that makes your journey tiring. And in most of the journeys sleeping is a big thing in harsh conditions. A comfortable pillow would be considered as a boon for the long journey travelers and for those who are looking at a long flight or a long drive. The pillow which I am going to talk about, it looks really funny and may make you feel like an idiot but its worth sacrificing your looks for comfort. This is the Ostrich Pillow. It can keep your head and arms warm along with providing a soft cushion. For some people out there, music is an addiction and they cant live without it. And while travelling it works like a medicine. We all know that a journey can be very tiring and boring specially while in an airplane or when in the car. In order to overcome this boredom a pair of good headphones will make your day. The ceramic X7i headphones are the Gadgets which I am talking about. 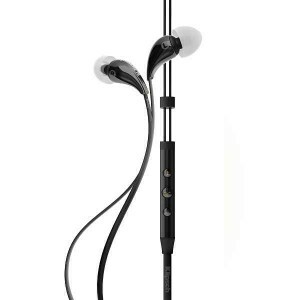 These headphones are really very portable, low profile and provide very good noise cancellation. To ensure maximum comfort and awesome music quality these headphones are designed in that way. Don’t you think all that listening to music will make your batteries go dead? Well in that case you need to have some sort of charging cable. But in order to have fun all the way and to make sure everything goes well in your trip you need to have more than one device, and thus, more than one cable. More cable occupies more space so why not have all in one cable? This is where the 3-in-1 USB cable comes in. 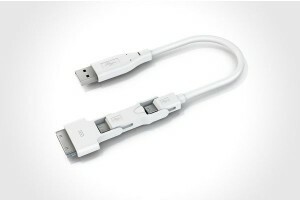 This cable has a Micro-USB, Mini-USB and 30-Pin Apple connector into one cable with which you can switch between systems. This is one great Gadget to have while travelling for longer distances. Now your device is fully charged and its time to plugin the headphone in your ears and forget the world around you. But if I am not wrong most of you people doesn’t travel alone and travel with friends and families. So will you just let your friends stare at you while you enjoy the music? But there is a solution for this and it a headphone/speaker splitter. 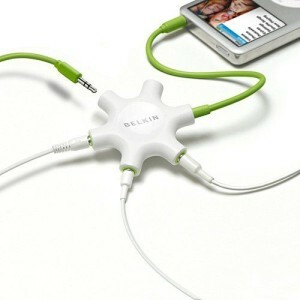 It is all possible with Belkin which provides a device that splits the single 3.5mm jack coming from your Smartphone to 5 others that enables to listen to music with your friends. How cool is that? But if you are camping or outing somewhere where you can have a hard rock party then you must be thinking of portable speakers especially Bluetooth enabled ones. The advantage with a Bluetooth device is that you need not carry the burden of cables. What if your device doesn’t have a wireless capability? Then you can connect a 3.5 mm jack too. 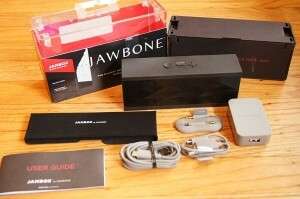 No need to worry about the battery as it has an integrated battery that can keep up to 10 hours. You can have a wild rocking party by hooking up 5 of these speakers with the splitter featured earlier. But if you are planning an outdoor party in the camp then you will need to store lots of digital media like music files, videos and much more as they occupy more space. But it is not sure that your device will store that much media so better get a flash memory. Imagine a flash drive with all the safety tools installed in it to keep you away from any danger that may occur in the outdoor. 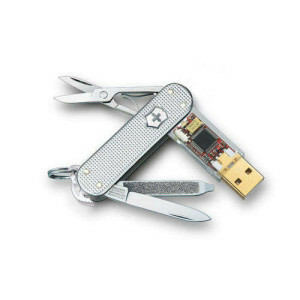 A Swiss knife with a flash drive is what I’m talking about. Now you will be safer with your tools and can enjoy the music too. You can find different devices with different capabilities in the market and one big problem with these devices is that they all come with different chargers according to their manufacturers. But no need to worry as there is a Universal Power Adaptor Kit that supports all the devices. It eradicates all the issues that every other country has it like different countries has different devices and as a result different chargers. 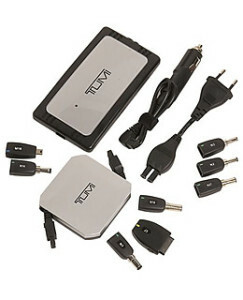 Some of the features of this universal adaptor kit Tumi has ten adapter ports, a compatibility chart, retractable cable, AC wall socket input plug and an automobile/air connector cable. Who wouldn’t want to capture their exotic moments in the holidays they had? And to capture them all you need to have a Gadget that is perfect for you. 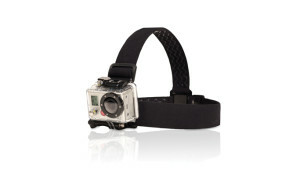 And one such Gadget is GoPro Hero HD2. To make your capturing more realistic it has the professional touches and even used by professionals all over. To make your moments capture better it comes with an 11 MP sensor. It captures everything in HD for more clarity. And the striking point about this Gadget is, it is very small and very easy to carry around. The above 8 devices are useless if you don’t have any good mean to carry them all. You can buy the normal means too but there’s no interesting thing about that. You need to look cool and for that a Powerbag is must. 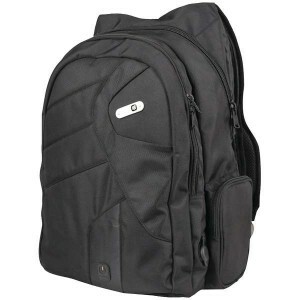 It is almost like a Smart backpack. If you are unaware about the smart backpack then let me tell you that it have integrated batteries to keep your devices charged while travelling. I have listed them all in this post, now it depends on you to which one to look for. So make your choice and have fun in the holidays.